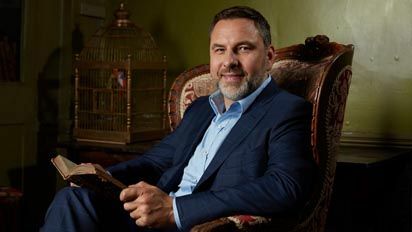 We can’t help but get a little bit excited by David Walliams’ recent Q & A with Channel 4 in the countdown to #RoaldDahl100 ! Walliams shares great reasons for some of his favourite books by Dahl, appreciation for his superb work and what makes him stand out from the rest ! All of which we can’t wait to explore and celebrate with schools in the forthcoming weeks! Bigfoot’s new librarian Beatrice is all geared up to go on an interactive story exploration with pupils to learn all about some of the most popular stories by Dahl. With what sounds like a brilliant line up, we’re definitely looking forward to tuning into “Roald Dahl’s Most Marvellous Book” on Sunday at 6.30pm on channel 4!